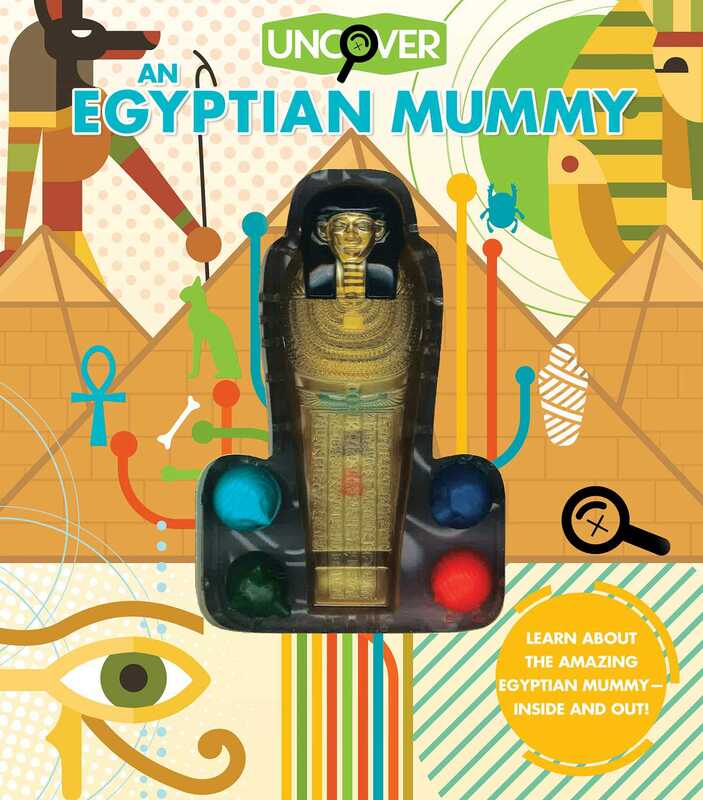 A fascinating three-dimensional presentation provides the reader with an in-depth, hands-on exploration of an Egyptian mummy. In Uncover a Mummy, a fascinating three-dimensional presentation allows in-depth, hands-on exploration of an Egyptian mummy! This unique “model” can be deconstructed and rebuilt layer by layer, just by turning the page, so the reader can see how the ancient Egyptians prepared their dead. By combining a 3-D model with informative text and pictures, Uncover a Mummy helps children understand the complexities of an ancient culture. Graphic artist, painter, illustrator, and designer, Ryan Hobson has created work for Disney, Silver Dolphin, Chronicle Books, Scholastic, SmartLab, and Lucasfilm. Known for his versatility and and imaginative style, some of his notable work includes MIssion: Mars, Jedi Path, Explore Within A Mummy, Inside A T. Rex and many others. He was born and raised in Anchorage, Alaska, and worked in the oil fields in his younger years. He now resides at his home in Seattle.